Nope not an ex one either. Can I ask you why you thought I was a dashnak? You said "Printed by whom? ASALA is defunct. "...the tone seemed to strong to me. I see. I meant it as a question. It would be interesting to read, if its still being published. But I doubt it, for better of worse ASALA is history. On November 25 Nagorno-Karabakh celebrates the 50th anniversary of the legend of the war in Karabakh Monte Melkonyan (Avo) who was killed in June 1993. The main celebration will be in Martuni where there is a monument to Monte. There will be classes at schools devoted to the 50th anniversary of the hero, the correspondent of Regnum in Stepanakert reports. Monte Melkonyan was born in 1957 in a small town in California. In 1969 his family moved to Spain. After leaving school Monte left for Turkey, afterwards for Lebanon where he studied everything Armenian with great interest. After returning to the United States he went to university to study the history of Urartu. After graduating Monte returned to Lebanon where in 1978 he participated in the defense of the Armenian quarters. In May 1980 he joined ASALA (Armenian Secret Army of Liberation of Armenia) with some friends. Visiting Nagorno-Karabakh for the first time in 1991 he participated in the fights for the villages of Buzlukh, Manashid, Erkedj in Shahumyan. After a lasting pause he returned to Karabakh and led the troops defending Martakert. People who knew him say his mere presence inspired confidence. For the people of Karabakh, he is a symbol of valor, belief and faithfulness to the homeland. Note: Aratta Jan I merged your new topic with Monte's main thread. Edited by Yervant1, 25 November 2007 - 12:48 PM. November 25 is Monte Melkonian's 50th birthday, and according to a government decision it will be celebrated with a lot of fanfare, so on October 5 Seda Melkonian sent one more another letter to Gagik Beglaryan and Prime Minister Serzh Sargsyan. Although the letter sent to the prime minister noted that Gagik Beglaryan had not replied to letters from the Monte Melkonian Fund, it was sent to the district mayor as well, in the hopes that he might at last reply to the Fund’s president. The mail department of the Kentron district's municipality told us that the letter had been directed to department head Vahe Davtyan, but this official never seems to be at his desk. His secretary always says the same thing - "He’s gone out, try in an hour," but Vahe Davtyan never seems to come back. No one else in the municipal building is able to reply to the letter or provide any explanation. And Chorni Gago doesn't reply, because he sees no benefit in doing so. The president of the country once said that people have to fight for their rights. What does that mean-that they have to go to court every time they write a letter, go through a judicial hassle just because Gagik Beglaryan is protected by the government which itself has granted him the right to ignore questions from citizens, NGOs and journalists? Several months ago we also wrote to the head of Kentron municipality, asking him to provide us with a list of organizations with whom the municipality had signed agreements for parking lots. We never managed to get that information, because the money received from these parking lots goes straight into the district mayor’s pocket. And according to our calculations these are millions of drams on a monthly basis. Following the president's advice, we should sue Gagik Beglaryan, but our letters are also ignored by the health ministry and many other government structures. Should we sue them all? The Monte Melkonian Fund was established in 1994. 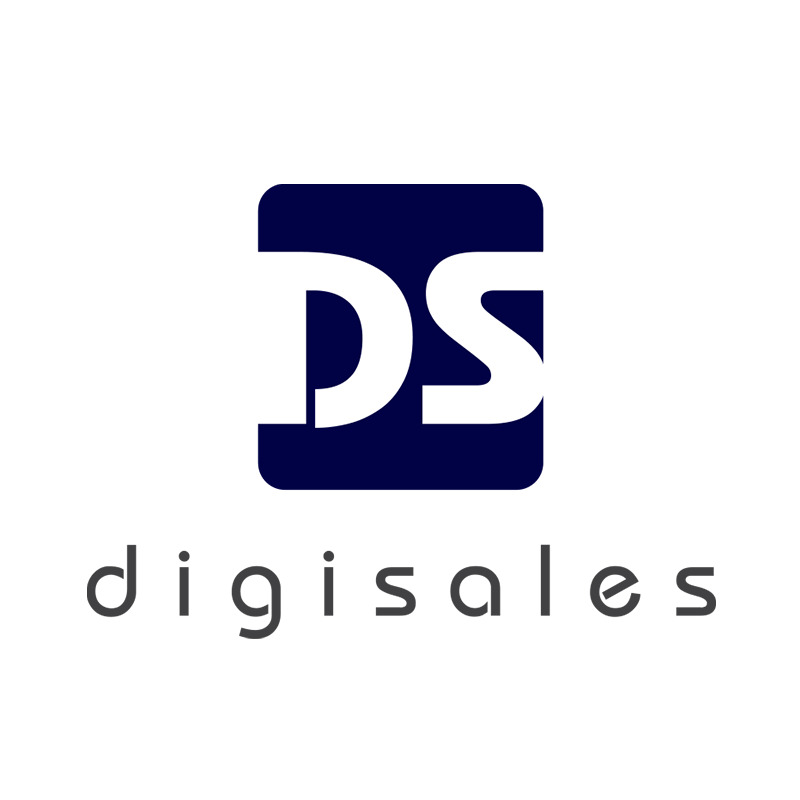 It implements development projects and helps needy families in Armenia and Artsakh. Recently, it has set up youth centers in the village of Azatavan in the Ararat Marz and the village of Khachik in Vayots Dzor Marz, as well as in the village of Karegah in the Kashatagh region of the Nagorno Karabakh Republic. It has undertaken agriculture development projects in Kashatagh, and is working with other NGOs to implement drinking water projects in the village of Maghavuz in the Martakert region of Karabakh and in the villages of Arakel and Saraland in the Hadrut region. On April 13, 1999, the Kentron District rented office space to the Monte Melkonian Fund in the basement of 5 Koryun Street. At the time, the basement was damp and uninhabitable. The NGO completely renovated the space, rendering it fit for use. On May 18, the NGO asked Ararat Zurabyan, then head of the Kentron District Municipality, to allow the NGO to privatize the space, on the basis of Decision 303 of the Mayor of Yerevan, taken on March 18 1999. This request remains unanswered to this day. Further the municipality has never renewed the rental contract, which expired on January 1, 2004, and the Monte Melkonian has been placed in the position of illegally occupying the space. All the basements in the buildings on Koryun Street have been privatized, and clearly, municipal employees have taken money for all of these privatizations. Gagik Beglaryan doesn't want to give up this particular space for free, especially, since there are others who are interested in it. But Gagik Beglaryan is going to have to give up the territory for free, because no one in the organization is willing to pay him. He will also have to reply to the foundation's letter, because the organization will be going to court to court - not to start the privatization process of their office, but for violating the Law of Freedom of Information. program in 2.5 years. He mastered seven languages. himself to the noble cause of defending the Armenians of Artsakh. of Chief Specialist Samvel Atoyan. and to other academic educational centers of the world. and Monte changed his pen with the sword. of the Republic of Armenia". the independence and development of its people. Why do I have this eerie feeling, that I have had it for sometime, that we dont know the whole truth about Monte-s tragic demise? Was he , in fact shot in the head at point blank by jealous colleague? When will we, will we ever know the truth? Remember that this whole saga happened during the era of that die hard anti-Dashnak LTP. In the books final chapterMelkonian returns to this burial sceneafter recounting his brothers death by shrapnel in a roadside confrontation. But nowMelkonian says simply that the rumors and conspiracy theories continue to proliferate. But for my partIm convinced that Monte and Saribeg [a fellow soldier] died in a chance encounter with Azeri fighters. This seems to echo the authors earlier claim in the Prologuethat as the rumors have proliferated over the yearsmy need to separate fable from creditable report has only grown. The statement is entirely fair and pragmatic. But it comes on the heels of a series of other puzzling questions about MonteWas he temperate or was he a vodka guzzler? A communist to his dying dayor a reborn nationalist? A defender of captives or a slitter of throats?puzzling more for being posed at all than for their insight or interpretive value..
Long live AVO! Thank God we were given this humble, great man. He is ours forever! Interests:Activist, Researching, Exercising, Spending time with loved ones, Enjoying life. Monte Melkonian, a very great example he demonstrated. Long live the Armenian Race. November 25 is the birthday of national hero of Armenia and Artsakh, legendary commander, philosopher and warrior, activist of national-liberation struggle of the Armenian people Monte Melkonian. He would have turned 57 today. Monte Melkonian was born on November 25, 1957 at Visalia Municipal Hospital in Visalia, California to Charles and Zabel Melkonian. He was the third of four children born to a self-employed cabinetmaker and an elementary-school teacher. By all accounts, Melkonian was described as an all-American child who joined the Boy Scouts and was a pitcher in Little League baseball. Melkonian's parents rarely talked about their Armenian heritage with their children, often referring to the place of their ancestors as the "Old Country." His interest in his background only sparked at the age of eleven, when his family went on a year-long trip to Europe in 1969. While taking Spanish language courses in Spain, his teacher had posed him the question of where he was from. Dissatisfied with Melkonian's answer of "California", the teacher rephrased the question by asking "where did your ancestors come from?" His brother Markar Melkonian remarked that "her image of us was not at all like our image of ourselves. She did not view us as the Americans we had always assumed we were." From this moment on, for days and months to come, Markar continues, "Monte pondered [their teacher Señorita] Blanca's question “Where are you from?" In the spring of that year, the family also traveled across Turkey to visit the town of Merzifon, where Melkonian's maternal grandparents were from. Merzifon's population at the time was 23,475 but was almost completely devoid of its once 17,000-strong Armenian population that was wiped out during the Armenian Genocide in 1915. They did find one Armenian family of the three that was living in the town, however, Melkonian soon learned that the only reason this was so, was because the head of the family in 1915 had exchanged the safety of his family in return for identifying all the Armenians in the town to Turkish authorities during the genocide. Monte would later confide to his wife that "he was never the same after that visit....He saw the place that had been lost." Upon his return to California Monte returned to his education. In high school, he was exceeding all standards and having a hard time finding new academic challenges. Instead of graduating high school early, as was suggested by his principal, Monte found an alternative thanks to his father: a study abroad program in East Asia. At the age of 15 Monte traveled to Japan for a new chapter in his young life. While there he began making money teaching English which helped finance his travels through several Southeast Asian countries. This introduced him to several new cultures, new philosophies, new languages, and in several cases, like his travels through Vietnam, new skills that would become immensely valuable in his later life as a soldier. Returning to the United States, he graduated from high school and entered the University of California, Berkeley, majoring in ancient Asian history and Archeology. In 1978 he helped to organize an exhibition of Armenian cultural artifacts at one of the university’s libraries. The section of the exhibit dealing with the 1915-23 genocide was removed by university authorities, at the request of the Turkish consul general in San Francisco. The display that was removed was eventually reinstalled following a campus protest movement. Monte eventually completed his undergrad work in under three years. Upon graduating, he was accepted into the archeology graduate program at the University of Oxford. However, Monte chose to forgo this opportunity, and instead chose to begin his lifelong struggle for the Armenian Cause. After graduating from U.C. Berkeley in the spring of 1978, Monte traveled to Iran, where he taught English and participated in the movement to overthrow the Shah. He helped organize a teachers’ strike at his school in Tehran, and was in the vicinity of the Meydān-e Zhāleh (Jaleh square) when the Shah’s troops opened fire on protesters, killing and injuring many. Later, he found his way to Iranian Kurdistan, where Kurdish partisans made a deep impression on him. Years later, in southern Lebanon, he occasionally wore the uniform of the Kurdish peshmerga which he was given in Iranian Kurdistan. In the fall of 1978, Monte made his way to Beirut, the capital of Lebanon, in time to participate in the defense of the Armenian quarter against by the right-wing Phalange forces. At this time, he met his long-time confidante and future wife, Seta Kebranian. Monte was affiliated with the Hunchakian socialist party and was a permanent member of the militia's bases in Bourj Hamoud, Western Beirut, Antelias, Eastern Beirut and other regions for almost two years, during which time he participated in several street battles against rightist forces. He also began working behind the lines in Phalangist controlled territory, on behalf of the "Leftist and Arab" Lebanese National Movement. By this time, he was speaking Armenian – a language he had not learned until adulthood (Armenian was the fourth or fifth language Monte learned to speak fluently, after Spanish, French and Japanese. In addition, he spoke passable Arabic, Italian and Turkish, as well as some Persian and Kurdish). In the spring of 1980, Monte was inducted into the Armenian Secret Army for the Liberation of Armenia, ASALA, and secretly relocated to West Beirut. For the next three years he was an ASALA militant and contributor to the group’s journal, Hayastan. During this time several Palestinian militant organizations provided their Armenian comrade with extensive military training. Monte carried out armed operations in Rome, Athens and elsewhere, and he helped to plan and train commandos for the "Van Operation" of September 24, 1981, in which four ASALA militants took over the Turkish embassy in Paris and held it for several days. In November 1981, French police arrested and imprisoned a young, suspected criminal carrying a Cypriot passport bearing the name "Dimitri Georgiu." Following the detonation of several bombs in Paris aimed at gaining his release, "Georgiu" was returned to Lebanon where he revealed his identity as Monte Melkonian. In mid-July 1983, ASALA violently split into two factions, one opposed to the group’s despotic leader, whose nom de guerre was Hagop Hagopian, and another supporting him. Although the lines of fissure had been deepening over the course of several years, the shooting of Hagopian’s two closest aides at a military camp in Lebanon finally led to the open breach. This impetuous action was perpetrated by one individual who was not closely affiliated with Monte. As a result of this action, however, Hagopian took revenge by personally torturing and executing two of Monte’s dearest comrades, Garlen Ananian and Arum Vartanian. In the aftermath of this split Monte spent over two years underground, in Lebanon and later in France. After testifying secretly for the defense in the trial of Armenian militant and accused bank robber Levon Minassian, he was arrested in Paris in November 1985, and sentenced to six years in prison for possession of falsified papers and carrying an illegal handgun. Monte spent over three years in Fresnes and Poissy prisons. He was released in early 1989 and sent from France to South Yemen, where he was reunited with Seta. Together they spent year and a half living underground in various countries of eastern Europe in relative poverty, as one regime after another disintegrated. On October 6, 1990 Monte arrived in what was then still Soviet Armenia. During the first 8 months in Armenia, Melkonian worked in the Armenian Academy of Sciences, where he prepared an archaeological research monograph on Urartian cave tombs, which was posthumously published. Seta and Monte were married at the monastery of Geghart in August 1991. Finding himself on Armenian soil after many years, he wrote in a letter that he found a lot of confusion among his compatriots. Armenia faced enormous economic, political and environmental problems at every turn, problems that had festered for decades. New political forces bent on dismantling the Soviet Union were taking Armenia in a direction that Monte believed was bound to exacerbate the crisis and produce more problems. Under these circumstances, it quickly became clear to Monte that, for better or for worse, the Soviet Union had no future and the coming years would be perilous ones for the Armenian people. He then focused his energy on Karabagh. "If we lose [Karabagh]," the bulletin of the Karabakh Defense Forces quoted him as saying, "we turn the final page of our people's history." He believed that, if Azeri forces succeeded in deporting Armenians from Karabagh, they would advance on Zangezur and other regions of Armenia. Thus, he saw the fate of Karabagh as crucial for the long-term security of the entire Armenian nation. On September 12 (or 14) 1991 Monte travelled to Shahumian region (north of Karabagh), where he fought for three months in the fall of 1991. There he participated in the capture of Erkej, Manashid and Buzlukh villages. 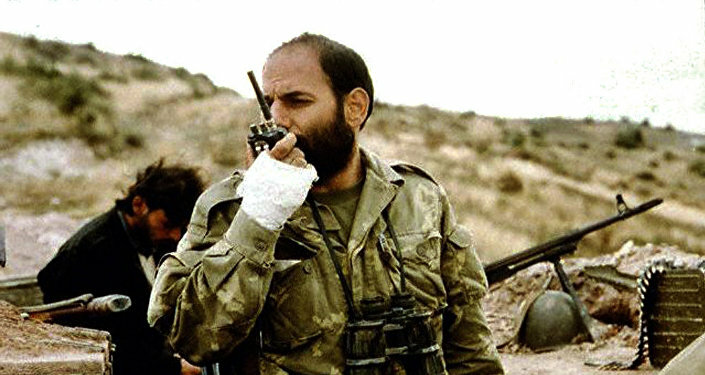 On February 4, 1992 Melkonian arrived in Martuni as the regional commander. Upon his arrival the changes were immediately felt: civilians started feeling more secure and at peace as Azeri armies were pushed back and were finding it increasingly difficult to shell Martuni's residential areas with GRAD missiles. 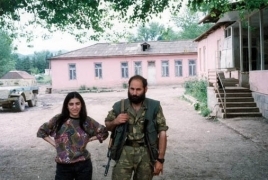 In April 1993, Melkonian was one of the chief military strategists who planned and led the operation to fight Azeri fighters and capture the region of Kalbajar of Azerbaijan which lies between the Republic of Armenia and former NKAO. Armenian forces captured the region in four days of heavy fighting, sustaining far fewer fatalities than the enemy. Monte was killed in the abandoned Azerbaijani village of Merzili in the early afternoon of June 12, 1993 during the Battle of Aghdam. According to Markar Melkonian, Monte's older brother and author of his biography, Monte died in the waning hours of the evening by enemy fire during an unexpected skirmish that broke out with several Azerbaijani soldiers who had gotten lost. Monte died in the arms of his closest and most trusted comrades. Monte was buried with full military honors on June 19, 1993 at Yerablur military cemetery in Yerevan, Armenia. According to one estimate, some 25,000 people filed past his open casket as it lay in state at the Officer’s Hall in Yerevan. Among the dignitaries present were Levon Ter-Petrosyan, President of the Republic of Armenia, high-ranking Armenian and C.I.S. military leaders, and members of all the major political parties in the country. He joined the Artsakh War in 1991. He was one of the most talented and experienced commanders. He was posthumously bestowed the title of the Artsakh Hero. Monte Melkonian died on June 12, 1993. Today is Monte’s birthday. “Monte was a brilliant commander, an exceptional soldier, but he remained in the history and the hearts of people first of all thanks to his honesty and fairness,” says Alek Yenigomshyan, Director of “Monte Melkonian” NGO and ex-member of ASALA. “The decisions to fight and die for the Motherland are never made in one day, they are born with a man. Monte was a hero, a man of exceptional courage, a skilled serviceman. But the human qualities were his greatest privilege. He was honest, fair and extremely modest.” Alek Yenigomshyan is confident Monte would not like to be remembered on several occasions over the year, to be glorified and praised. “He didn’t need it, but we need it,” he said. According to Yenigomshyan, Monte was absolutely indifferent to material values. Honesty and moral were the most precious values to him. Without these qualities he would not inspire hope and confidence and would not be adored by all. Bloodshed was not Monte’s aim on the battlefield. He even gave his blood to save the life of a wounded Azerbaijani captive. Monte came to Armenia, when many were leaving. Monte did not know what despair was. The life of Armenian and Artsakh national hero Monte Melkonian was full of hardships, including years of wandering and even prison. However, as he said, he had two loves that helped him move forward: love for homeland and love for Seda. PanARMENIAN.Net - “Yes, we do have hard times, as we have chosen a hard path. We don’t spend much time together but it doesn’t matter. I am happy because Monte is my husband,” Seda used to say. Monte met Seda in the Armenian settlement of Aynchar in Lebanon, when she was 15 and he was 21. At that time, he had to choose either to stay in Lebanon or move to Iran. He decided to stay and happened to stay at Seda’s sister’s house. “I opened the door and saw his sparkling eyes and his beard. He smiled widely. Later, I showed him our school, our village and suddenly understood that he liked talking to me. Monte soon became a member of our family. When he came to Aynchar, he always stayed at our place,” Seda recollects. Time passed, and Seda moved to Beirut, to another sister of hers. Monte visited her once in a while. “I saw how he looks at me but tried to convince myself that he is not in love. One day he offered to go to a movie theater together. He bought tickets but never came. A week later I learned that he disappeared,” Seda says. In a letter dated June 6, 1988, Melkonian wrote that there are people, who stand firm on what they believe, even at the cost of their freedom, are worthy people. “Being here [in prison] is not easy but interesting in a sense. I never wanted to be here but I found some really good friends. Sometimes the best people have to stay behind the bars while lowlifes enjoy freedom. Dignified people champion their ideas even if their enemies are powerful, thus the possibility of meeting in such a place grows. We talk to each other and learn from each other,” he wrote to Seda, as their communication resumed. Walls and darkness, Cold and enemies around. But I found the light and freedom I found happiness and hope I found them in your memory. “The worst day in Monte’s life came in 1983, when ASALA broke up. But he found the way to call me and say he loves me. He said he will find me himself when time comes, prohibited from looking for him and went silent again. Years later, I asked him why he called that day and he answered that he was sure he will be killed and just wanted me to know that I am the only person he loves,” Seda says. She hadn’t heard from him for a long time but then she visited him in prison. In November 1985, Melkonian was arrested in Paris and sentenced to 6 years in jail for illegal possession of weapons and forgery. He was released in early 1989 and deported to Yemen. Seda followed him. They saw themselves as a married couple already. “Documents made no sense for us at that time,” Seda says. On October 6, 1990, Monte and Seda arrived in Yerevan and settled in a dormitory. Their wedding took place on August 3, 1991 in Geghard monastery. Monte was once asked why they don’t have children. “We have no time,” he replied. 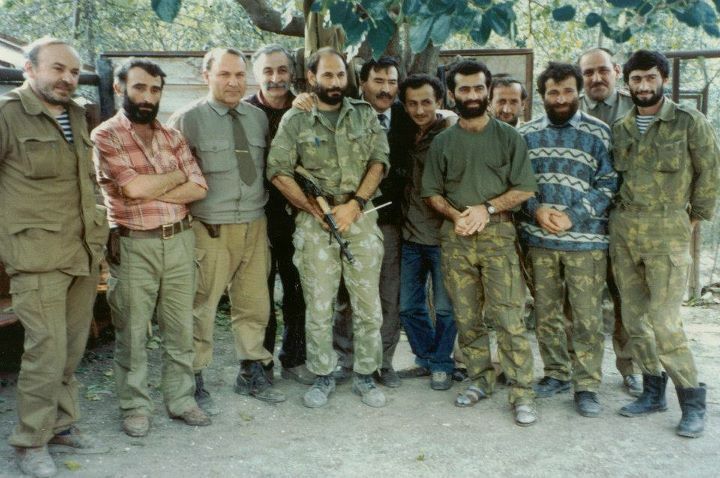 In 1991, they went to Karabakh, where Melkonian joined detachments fighting for the liberation of the villages of Buzlukh, Manashid and Erkej in Shahumyan region. He was later appointed the executive officer of the Kornidzor detachment. 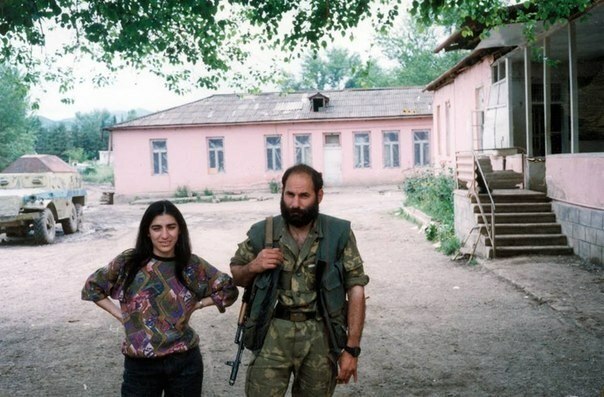 In summer 1992, the Azeri army, which aimed to seize the village of Machkalashen and move towards Shushi, was rebuffed by Melkonian’s people, who thus secured Artsakh’s south. The next year, Melkonian took the lead of the Martuni defense troops; then he fought for Martakert and Askeran areas. “It was not easy for Monte in Karabakh. He was intelligent but naïve, and some made use of it. He had enemies both inside and outside,” Seda says. Taking part in defense and liberation battles across Karabakh, Melkonian won the hearts of the locals. “If we lose Artsakh, we will turn the last page of the history of Armenian people,” he once said. 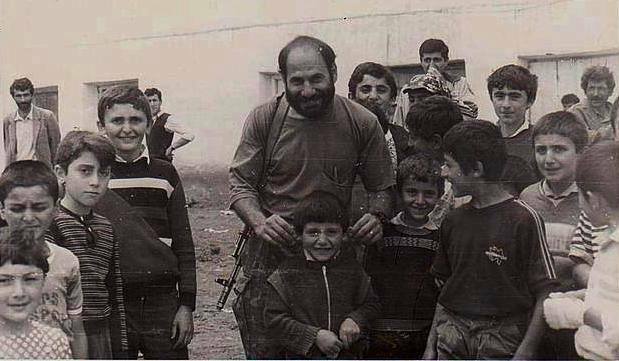 On June 12, 1993, Melkonian was killed in a battle against Azeri forces in the village of Marzili. “Artsakh was my first but not last victory,” Monte said. In his letters to Seda he said there are two inseparable loves in his life: love for homeland and love for her, a woman who was not born in Armenia but who has become a home for him. “Sometimes, Armenia gives me the feelings I can’t experience anywhere else. A field in Berdzor was full of poppies and it was going to rain. It set my heart beating. I felt the same, when I saw Monte,” Seda says. “He is here. I feel him,” she says. Currently, Seda lives in the United States. She got married for the second time, having chosen a friend of Monte as her husband. They have a son, whose name is Saro-Monte. National Hero of Armenia and Hero of Artsakh Monte Melkonian was buried at Yerablur Pantheon in Yerevan. November 25 is the birthday anniversary of National Hero of Armenia and Artsakh, legendary commander, philosopher and warrior Monte Melkonian. He would have turned 60 today. Monte Melkonian was born on November 25, 1957 at Visalia Municipal Hospital in Visalia, California to Charles and Zabel Melkonian. He was the third of four children born to a self-employed cabinetmaker and an elementary-school teacher. By all accounts, Melkonian was described as an all-American child who joined the Boy Scouts and was a pitcher in Little League baseball. Melkonian's parents rarely talked about their Armenian heritage with their children, often referring to the place of their ancestors as the "Old Country." On October 6, 1990, Monte arrived in what was then still Soviet Armenia. During the first 8 months in Armenia, Melkonian worked in the Armenian Academy of Sciences, where he prepared an archaeological research monograph on Urartian cave tombs, which was posthumously published. Seta and Monte were married at the monastery of Geghart in August 1991. Under these circumstances, it quickly became clear to Monte that, for better or for worse, the Soviet Union had no future and the coming years would be perilous ones for the Armenian people. He then focused his energy on Nagorno-Karabakh. “If we lose Karabakh,” the bulletin of the Karabakh Defense Forces quoted him as saying, "we turn the final page of the Armenian history." He believed that, if Azeri forces succeeded in deporting Armenians from Karabakh, they would advance on Zangezur and other regions of Armenia. Thus, he saw the fate of Karabakh as crucial for the long-term security of the entire Armenian nation. On September 12 (or 14) 1991 Monte travelled to Shahumian region (north of Nagorno-Karabakh), where he fought for three months in the fall of 1991. There he participated in the capture of Erkej, Manashid and Buzlukh villages. Monte was buried with full military honors on June 19, 1993 at Yerablur military cemetery in Yerevan, Armenia. According to one estimate, some 25,000 people filed past his open casket as it lay in state at the Officer’s Hall in Yerevan.